Articles related to a MS Connect case. A recent coincidence at work prompted me to write this post. I was working on comparing a set of records from one table to another after a data cleanup exercise when I realized that a couple of my checksums were coming up as 0, i.e. a blank string (as disccussed in my article on Chage Detection, part 01). The twist to the tale was that there were no blank strings in the sample that I was using. In order to demonstrate the issue clearly, I have prepared the following sample. As can be seen from the sample, both CHEKSUM and BINARY_CHECKSUM work as expected as long as the string under evaluation is less than 26,000 characters in length. As soon as the string hits the 26,000 mark, the functions stop working. The quick solution that I moved ahead with was to perform a direct comparison of the strings involved. Now, we know that CHECKSUM and BINARY_CHECKSUM will not work if the datatype being evaluated is one of: text/ntext/image/cursor/xml. But, in the example provided above, the strings were the classic – VARCHAR with the MAX keyword to allow storage > 8000 characters. However, I would like to invite views from you, the kind reader on whether you have faced a similar issue in the past or whether you have any other ideas to resolve this issue. I would like to invite views from you, the kind reader on whether you have faced a similar issue in the past or whether you have any other ideas to resolve this issue. I have written up a Microsoft Connect ticket for this issue to look for an official explanation [MS Connect item #2021430]. 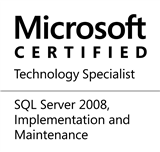 This entry was posted in #SQLServer and tagged #SQLServer, #TSQL, Connect Cases, Debugging, Development, Guidance on November 16, 2015 by nakulvachhrajani.